The precise early history of the guitar is lost to time; however, it most likely was developed in Spain during the 10th to 12th centuries. 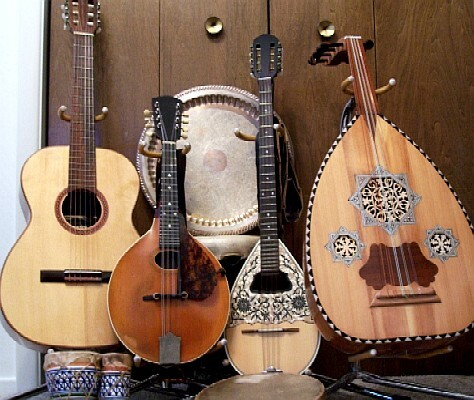 The Moors brought the oud to Spain from Arabia and North Africa and its descendents include the European lute and the guitar (although some sources report that the guitar was developed separately and is descended from the vihuela or other viol-type instruments). The lute spread throughout Renaissance Europe and was popular for hundreds of years, while the guitar stayed in Spain until the late 18th century. Improvements in design and construction, as well as an increase in classical compositions and virtuostic performers, led to the spread of the classical guitar to Europe, where it quickly supplanted the lute in popularity. More guitar history from Allan Alexander's Lute and Guitar Site. His Lute page also has some information about the oud. In my second semester of seventh grade, I was playing viola in the school orchestra, but I was looking for something a bit more exciting. 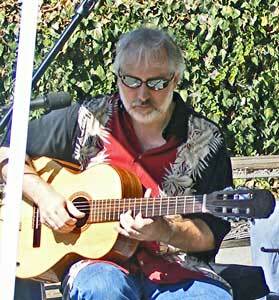 I found out that my dad had studied Hawaiian guitar as a child and still had the guitar, although it was on loan to my cousin in Sacramento. My cousin wasn't doing much with it, so I convinced my dad to get it back so I could try it out. This was in the spring of 1968. Guitar was King and I played mine constantly and took it everywhere with me. 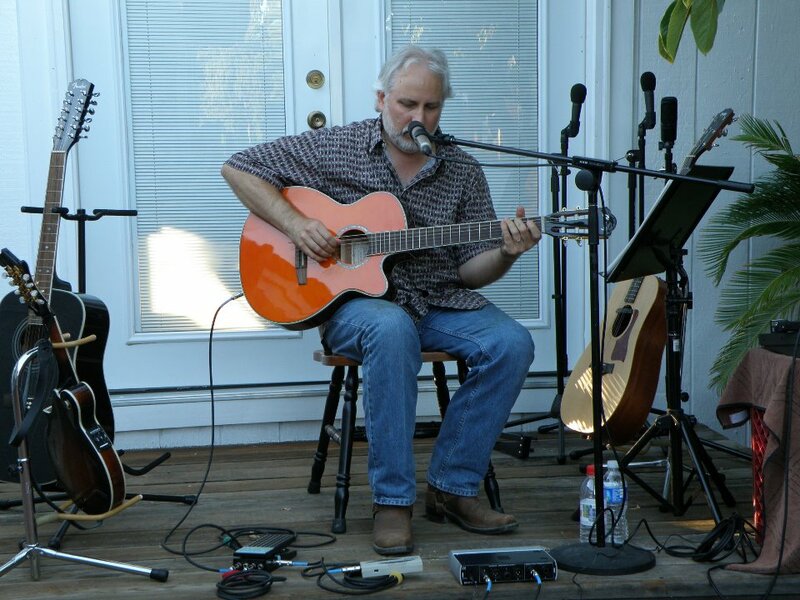 I began playing on a steel-string guitar, but I was always looking for ways to expand my repertoire of sounds. 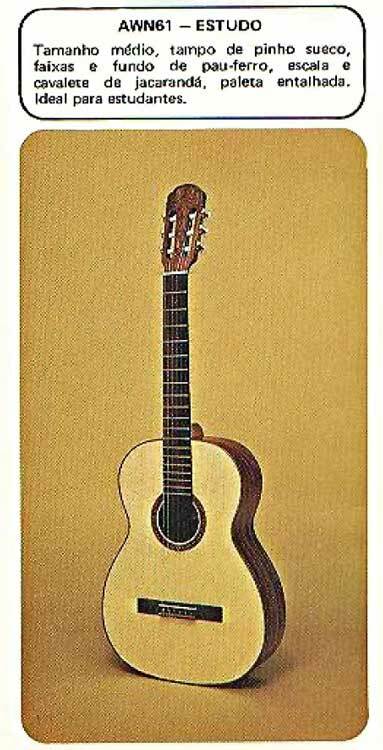 When I had a chance to buy a cheap nylon-string guitar on closeout at the bookstore where I worked in the mid-1970s, I jumped on it! I ended up selling it several years later to one of my students, but was always on the lookout for a replacement. Finally, after 15 years or so, I found one that I couldn't resist. It was mainly the carved headstock of the Giannini that caught my eye, but the fact that it was made it Brazil made it even more attractive to me. I've stuck a Najarian oud pickup on it, which works fairly well but doesn't really project the instrument's mellow, even tone. 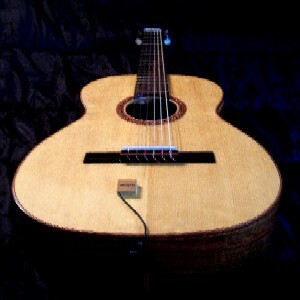 I recently (2/09) added a K&K Twin Spot pickup, which sounds much better. Although I haven't formally studied classical guitar, my early orchestra experience, music theory training, much listening to Segovia and practicing Fernando Sor pieces in the distant past have infused a classical sensibility to my playing. Improvisation from my Bijan Solos 1 CD. Improvisation from my Moondreams CD. Improvisation from my Court Minstrel CD. Improvisation, recorded in my living room December 2008. Inspired by a vacation in southern Spain. Improvisation, recorded in my living room December 2008. Inspired by a couple of trips to Great Britain.